Tired of pulling your laptop and other electronic gear out of your backpack or laptop bag? TSA allows laptops to stay inside an approved carry-on provided it is a checkpoint friendly bag that meet some very specific criteria. 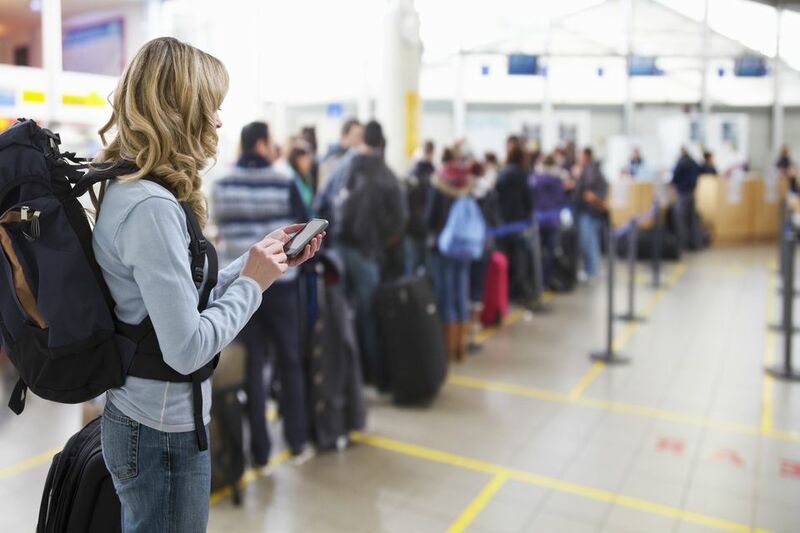 If your gear is packed properly, you won't have to pull your laptop out when going through the security line at the airport at all, saving you time and potentially preventing damage to your valuable devices too. Additionally, the bag must be packed appropriately or a security agent may ask a traveler to take their laptop out for inspection anyway. In this case, the notebook computer should be in its properly designated laptop sleeve completely on its own with no other items to obstruct the view of the x-ray machine. To find out more, visit the TSA's website regarding checkpoint friendly bags. Now that you know what the TSA expects, here are three options for frequent travelers who want to avoid taking their computers out of their bags. Business travelers looking for an elegant and sophisticated laptop carry-on bag that is also checkpoint-friendly will find the Brenthaven Elliot Deluxe to be a great option. Not only will that bag comfortable accommodate a 15.4" laptop, it also has a separate pocket designed for carrying a tablet too. Integrated high-density foam ensures that the electronic devices are well protected at all times, while pockets for carrying files, books, and magazines help make travel easier and more convenient. The Elliot Deluxe even has a dedicated smartphone pocket as well, and at $100 it won't have a significant impact on your wallet. Those who prefer a messenger style bag will find the High Sierra XBT to be an excellent option for speeding through TSA checkpoints. Not only does it meet all of the security requirements but it can also safely carry laptops up to 17" in size and comes with a separate tablet sleeve too. A water bottle pocket, multiple interior pockets, and a very comfortable shoulder strap make this a great choice for those who prefer to sling their bag over their shoulder and go. The $75 price point is easy to handle too, making this a durable and versatile travel companion for those weekend getaways or excursions to the far side of the planet. Stylish and functional, the Timbuk2 Uptown backpack offers a lot of features that travelers are sure to love. In addition to being TSA-friendly, this bag includes a water bottle pocket, a ventilated backpanel for increased comfort, and plenty of internal pockets for keeping all of your important items well organized. Its fold-open laptop sleeve can accommodate a 15" notebook computer, while its sleek design makes it a breeze to slip under the seat in front of you. Priced at $119, this is a high-quality travel pack that can accompany you on many adventures. These are just a very small sampling of the options that are available for TSA-friendly laptop bags these days. There are literally hundreds of other models on the market, and it is highly likely that your favorite backpack or messenger bag manufacturer is making one too. If you travel with much frequency, having one of these bags can save you some time and effort while passing through a checkpoint. Not only does it mean you don't have to take your laptop out of your bag, it means that you won't have to worry about accidentally dropping it on the hard floor of the airport. Simply place your laptop case on the conveyor belt at security, zip open the laptop pocket, and proceed through the scanner. On the other side, you zip up the pocket once again, collect your belongs, and continue on your way.